It is never a dull day in nursing. I actually love cardiac nursing. Maybe it is because my first job was cardiac nursing. Or maybe it is because my maternal and paternal families have an extensive history of heart disease. In this article, we will discuss Atrial flutter and the treatments. One of the most common reasons that people call 911 is because if “palpitations”. 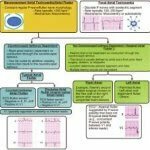 What Are Palpitations in Atreial Flutter? Palpitations are the feeling that your heart is beating fast, thumping, or skipping beats. Sometimes you can feel them in your throat or ears. At times people feel as if they will faint. There are several types of palpitations; however, we will be discussing the arrhythmia called Atrial Flutter. Patients usually present to the emergency department with they have a new-onset atrial flutter. The feelings that people have are often described as “ I feel as if my heart is about to jump out of my chest”. They also complained of feeling lightheaded and dizzy. Some people even faint. In the emergency room, health care providers will get an EKG and lab work first. If the patient is in atrial flutter, there are certain interventions that must be done. Most likely the patient will have to remain in the hospital. 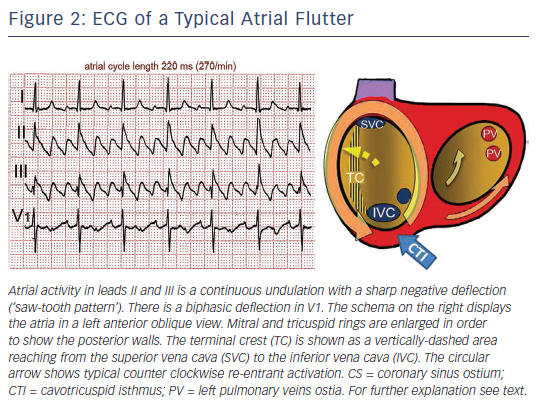 Atrial flutter is an abnormal electrical impulse in the right atrium. A normal heartbeat begins as a single impulse in the sinoatrial in the right atrium. According to the National Library of Medicine, “Typical atrial flutter is defined on an electrocardiogram by the classic “sawtooth” pattern of flutter waves with negative polarity in leads II, III, and aVF. In contrast to atrial fibrillation, which is sustained by multiple reentrant wavelets defined by anatomic and/or functional barriers, typical atrial flutter is sustained by a single reentrant circuit defined by anatomical barriers”. 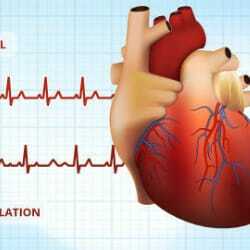 Often time, atrial flutter is accompanied by atrial fibrillation. Atrial flutter can be temporary or permanent. It depends on the heart rate of how the individual will present clinically. For example, the higher the heart rate, the greater the chance for poor clinical tolerance. In this case, the person will require immediate intervention. 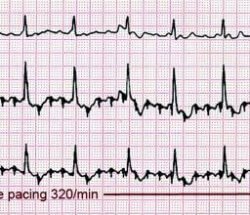 When patients come into the Emergency Department in atrial flutter, the rate is usually greater than 100. Often times the rate can go as high as 150. This requires immediate intervention. The first thing the provider will do is to order an EKG. They order the EKG to look for any signs of ischemia or events in progress. The most common drug given for atrial flutter is intravenous Cardizem if the heart rate is very high. 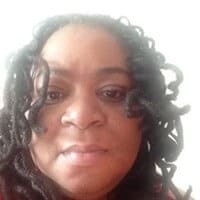 However, the person must have a high enough blood pressure to support the medication. Cardizem can drop the blood pressure very fast. In fact, low blood pressure is one of the most common reasons that Cardizem is discontinued on patients. Sometimes if the patient cannot tolerate Cardizem, a beta blocker will be used such as intravenous metoprolol. The last resort is usually digoxin. If none of the medications work right away, and the patients remain symptomatic, cardioversion may be necessary. Transthoracic cardioversion under sedation is the quickest way to achieve sinus rhythm. Atrial flutter conversion is painless and it can be done without sedation. Ablations are almost becoming more common in treating atrial flutter. Most atrial flutter is caused by re-entrant excitation in the right atrium. 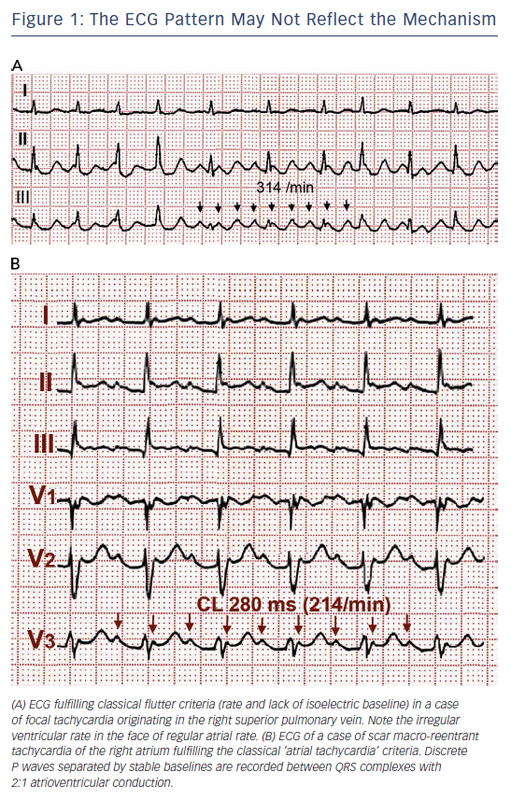 The 12 lead ECG remains the cornerstone for the clinical diagnosis. Acute treatment entails control of the ventricular response rate and restoration of sinus rhythm. 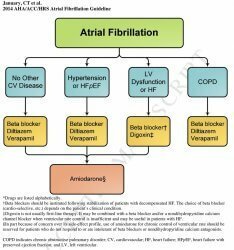 Currently, radiofrequency catheter ablation treatment provides the expectation of cure, although atrial fibrillation may subsequently occur. 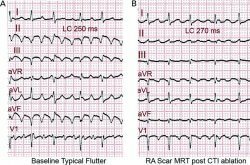 Alternatively, antiarrhythmic drug treatment to suppress recurrent atrial flutter episodes may be useful, recognizing that recurrences are common despite therapy.